Visit Thailand, Laos and Myanmar in one day. 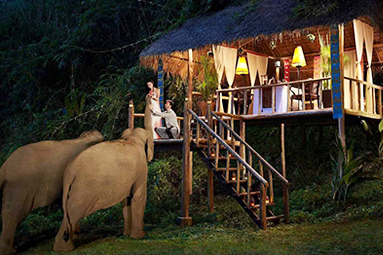 Take a walk through the jungle with rescued elephants before bathing and playing in the river. Discover the ancient Lanna ruins of Chiang Saen and the surrounding areas. Visit remote hill tribes, only found in the Chiang Rai area. Marvel at the unique architecture of the White, Blue and River Temples. 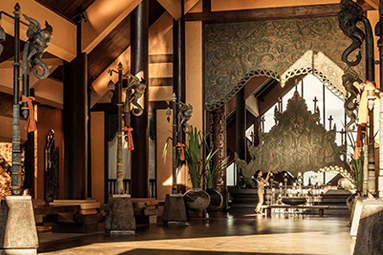 Follow in the footsteps of the royals with a trip to the Doi Tung Royal Villa. Explore the history of the opium trade at the Hall of Opium Museum. Take in the verdant landscape of tea and coffee plantations. Cruise at sunset along the Mekong River. 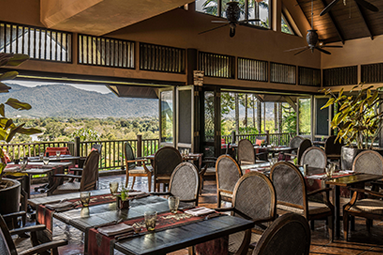 Dine by candlelight on a secluded hilltop with majestic views of three countries. 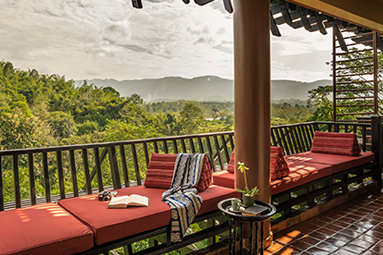 Lanna charm blends with once-in-a-lifetime experiences at this beautiful resort perched on a jungle ridge in the heart of the Golden Triangle. Bond with gentle giants. Embrace the culture of three countries. Fire up Thai flavours. Indulge in local healing spa therapies. 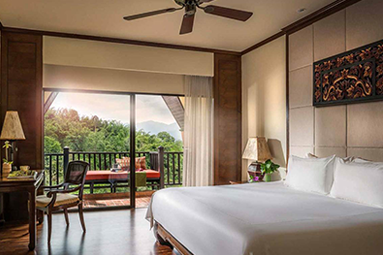 Wake up to misty mountain views of Myanmar and Laos. Relax at the breath-taking infinity pool. 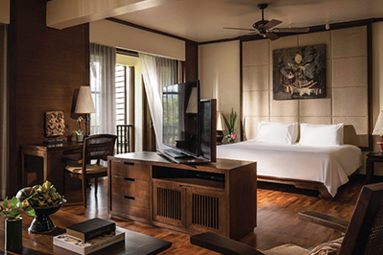 Explore 160 acres of bamboo forest, indigenous gardens and rice paddies. Toast the sunset over the Mekong.